Quite a large species. 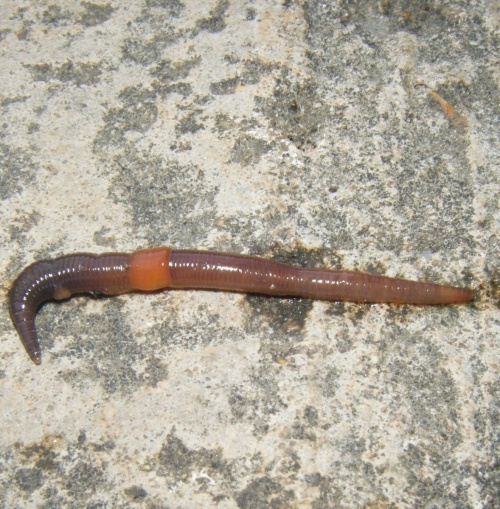 Typical adult size about 8 to 12cm in length when not moving. It is long and thin compared with the Lob Worm and the upper surface of the body, from the first segment to the saddle, is entirely dark in colour. 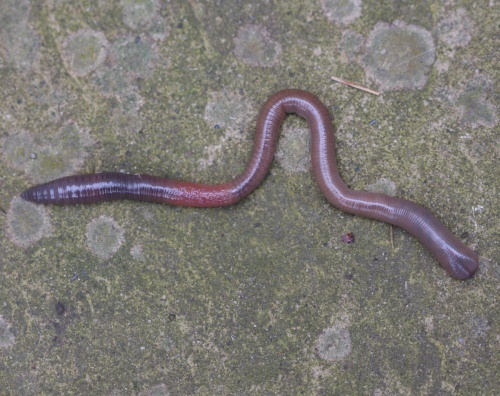 It often has a dark purplish head, while the rear end of the body is often much paler and with visible pores in the male covering one section. The saddle is always clearly developed. Often found in alkaline soils in open areas such as gardens, grassland and cultivated areas, and also in leaf litter. 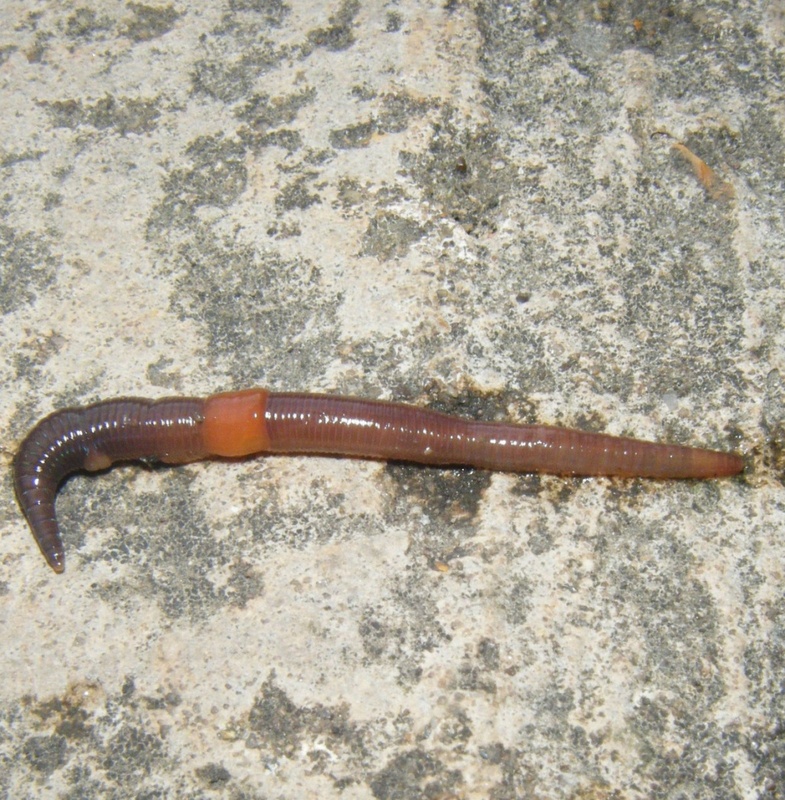 Lives in permanent burrows, unlike some earthworms, which don't maintain their tunnels. 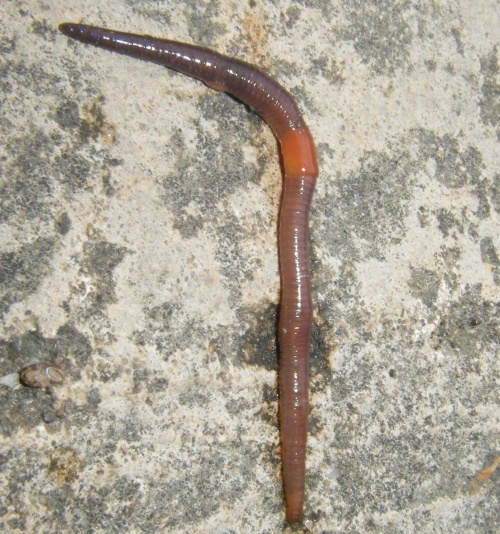 Can produce piles of worm casts or faeces, sometimes more than 5cm tall, around the entrance of their burrows.